The observatory hosts undergraduates who take Astro 395: Independent Work in Astronomy. 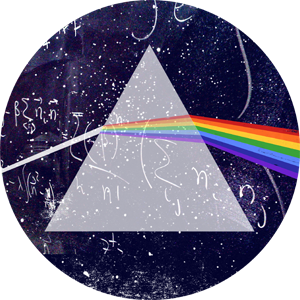 In the past undergraduate students have worked with Dr. Ron Wilhelm and the graduate assistants at the observatory for several types of observational astronomy projects. Our observatory houses a Planewave 20'' (0.5 m), CDK telescope, mounted on a Mathis MI-750, equatorial mount with fork configuration. We use SBIG, STX-16803, Dual Sensor, CCD camera, with filter wheel. Below is a light curve taken by Audrey Stoess. She used our telescope to measure the transit of exoplanet HD 189733b. Exoplanets are planets that orbit around stars outside our Solar System. We use our telescope to measure the shadow cast by the planet on as it orbits the star. When the shadow is cast the intensity of the light coming from the star drops. 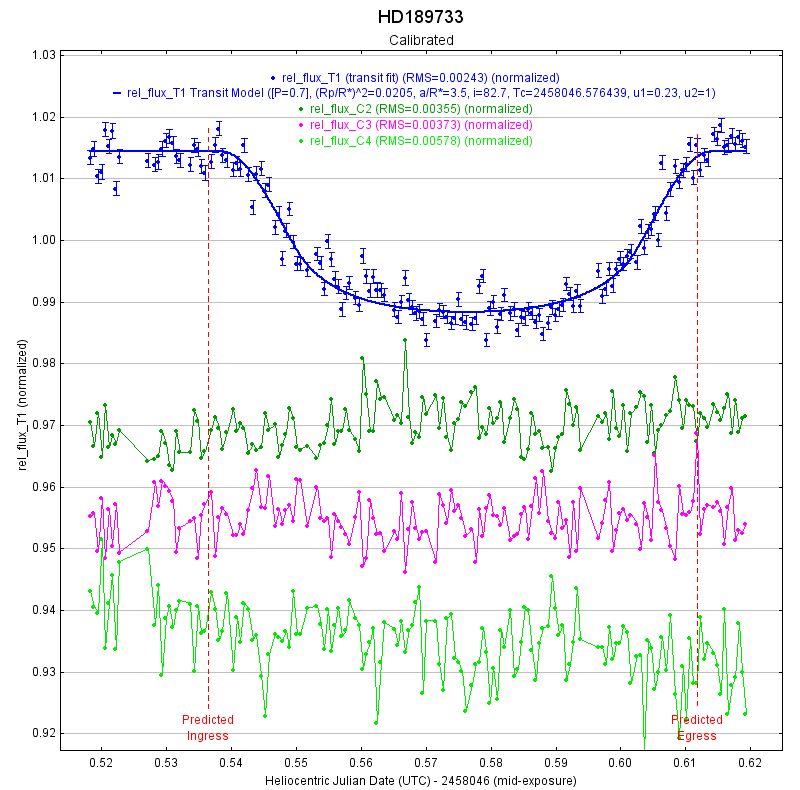 This dip in intensity allows us to measure the period of orbiting exoplanets without observing them directly.Following the light curve is an optical image of of HD189733.